Last fortnight, the finance minister unveiled the much talked about new Income Tax code. Since a lot has been written about the code, I wanted to focus on the findings of a survey that BMR Advisors initiated in partnership with CNBC Network 18 and Mint. Pleasantly, almost 500 respondents spanning across individual taxpayers, businesses representing Indian companies, multinational groups and public sector undertakings responded, suggesting the level of interest. Initial findings reveal that the tax code has received an overwhelmingly positive feedback, particularly in the area of moderate corporate tax rate, probability of reduced litigation, pass through tax status for venture capital investments and overall, a stable and less complex tax regime. Whereas, the feedback doesn't surprise me given the level of effort and commitment that North Block has demonstrated, I would focus on a few soft spots, which necessitates deliberation and possibly review. General anti-avoidance rules (GAAR): Fundamentally, whereas the tax and business fraternity is not opposed to GAAR, the widely worded proposals require deeper reflection. A liberal interpretation of the present silent law could perhaps have led to tax leakages, we ought to learn from experiences of other countries. International experience has suggested that taxpayer uncertainty is the most frequently cited argument against GAAR. Besides, majority of respondents (both Indian companies and MNCs) have reacted negatively to the GAAR provisions, fearing unintended witch hunting. Under the proposed code, a Commissioner rank officer can invoke GAAR under (what in his discretion is) "impermissible tax avoidance arrangement". This principle is over and above commercial substance test and any action that directly or indirectly abuses the provisions of the code. Simply stated, besides wide administrative power, this would be amongst the strictest form of GAAR legislated by a country. We can possibly look at a panel of GAAR (similar to Australia) or learn from experiences of Canadian judiciary in recent times. A panel would lend independence and objectivity before exercising discretion and Canadian jurisprudence would lend lessons to avoid prolonged litigation. The Australian and Canadian GAAR focus on taxpayers' behaviour and contentious issues, recognising the fact that the tax administration has to exercise its discretion in a judicious fashion. Stringent penalty and prosecution: A majority (61 per cent) of survey respondents felt that the new provisions should act as adequate deterrent for tax defaulters. Though the maximum penalty has been scaled to 200 per cent (from 300 per cent), prosecuting tax evaders, particularly the five identified non-cognizable offences, would raise eyebrows of corporate India. For instance, failure to furnish tax returns and false statement in verification have been made non-bailable offences. 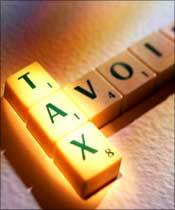 There could be genuine reasons for failure to furnish tax returns or delay in payment of withholding tax. It is interesting to note that the specified non-cognizable offences override the code of criminal procedure, which is presently the case under the extant law. MAT levy on gross assets: The 2 per cent levy of minimum alternate tax on gross assets shall certainly disincentivise productive capital investment and majority of industries have reacted negatively. The policy makers seem to have picked a leaf from Dr Shome's 2000 expert group recommendations. However, these assumptions don't necessarily hold good in today's environment. Are we saying that a power plant with capital investment of $1 billion shall be subjected to MAT of Rs 100 crore (Rs 1 billion) before a single Mw of power is generated, leave alone the question of making profits? Either, the concept requires a review or the rate of tax needs to be substantially pruned (say to 0.25 per cent). Control and management test: The new code has proposed that a foreign company which has part of its control and management situated in India shall be considered as resident for tax purposes. Whereas, I clearly see this provision as a backdoor entry of Control Foreign Corporation legislation. In one stroke, the policymakers will subject to tax global operations of Indian companies, besides posing risk to foreign MNCs who meet the partial control and management test in India. The irony is that in tackling the menace of tax base erosion, the distinction between tax avoidance and tax evasion becomes blurred. I recommend that whatever approach is taken, there should be full engagement with a consultation process on such proposals. Domestic law to override treaty: Perhaps the most controversial provision unsettling the present law, jurisprudence and raising anxiety levels of India's treaty partners. US is grappling with its domestic law provisions overriding the treaties. It is widely believed that such provisions will result in international treaties running afoul and ending up in courts. In the final analysis, the menace of tax avoidance (using treaties) cannot be addressed unilaterally. It would otherwise have a tremendous ripple effect and adverse consequences. It is clear that issues like tax havens have to be dealt with as a coordinated effort either through the OECD or groups such as joint international tax shelter information centre. In summary, experience of matured jurisdiction on highly complex legislation does not achieve the purpose of stopping avoidance. The more detailed the rules, the more opportunity there may be for those wishing to find and exploit loopholes. If US is an example to go with; the recent sweeping changes in cracking the whip on revenue leakage is expected to result in huge tax battles. This is besides the fact that US companies are getting into an uncompetitive position. Businesses are looking for stable, non threatening environment and hence, caution is required for such monumental changes. However, without taking away the credit due to officials in North Block for a stellar performance, few anti-avoidance provisions require re-examination. I wish late Palkhivala was around us to witness the paradigm shift in the Indian tax law, as he did not mince words in labelling the 1961 Act as a national disgrace.